We already have voice talents! As I’ve gone out to acquire voice work, I hear: ”We do everything in house.”, “We have the radio station do it all for us.” ”You’re not this voice or that.” , and other reasons why they won’t even listen to me. I might be the best thing that ever happened to their company, but if they won’t even listen, how will they know? “I understand that Mel Blanc went into Warner Brothers every week for three years trying to get heard. The main guy wouldn’t listen to him and then died. The new guy who took over, listened to Mel and Mel went on to make Warner Brothers. The first guy had lots of voice people but not Mel and he was something special. I could be too. You won’t know if you don’t listen to me. Need a voice talent?” posted at Jay Beacham Services on May 23. 2016. So I may be a Mel Blanc. I do voice work in English and German and a few other languages. What did your ancestors do for you so you don’t have to? I was going through my documents files today and found this piece I’d forgotten about. Pioneer Day was last Sunday with activities for it the week and day before and on Monday the 25th. It’s still a good time to remember and ponder. This past few days the temperature has been 112 to 115 degrees Fahrenheit and the pioneer song lyrics came to mind, “the hot winds swirl around me and take my breath away.” we have cooling devises, fans, shade, so much that the pioneer didn’t have here in Southern Utah. Today, my daughter Karen called me on the telephone. She said that her sons Mathieu and Joshua had just been on a youth pioneer trek to Wyoming. That’s great as they had Swiss pioneer ancestors who traveled through Wyoming by handcart. well by handcart to the Great Basin. died on the way and was buried on an island in the Sweetwater River. But they weren’t sad because he was an old man who was happy to be on his way to Zion. 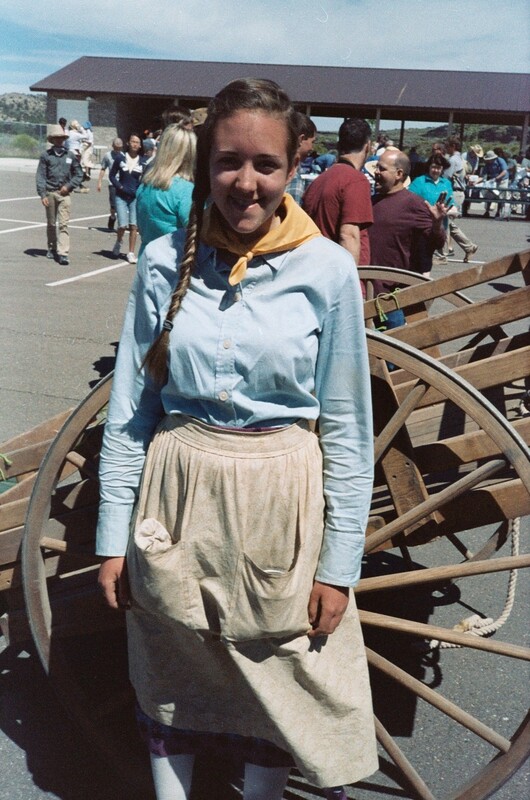 Karen and Alan went on a handcart trek west of Gunlock, Utah when teenagers. 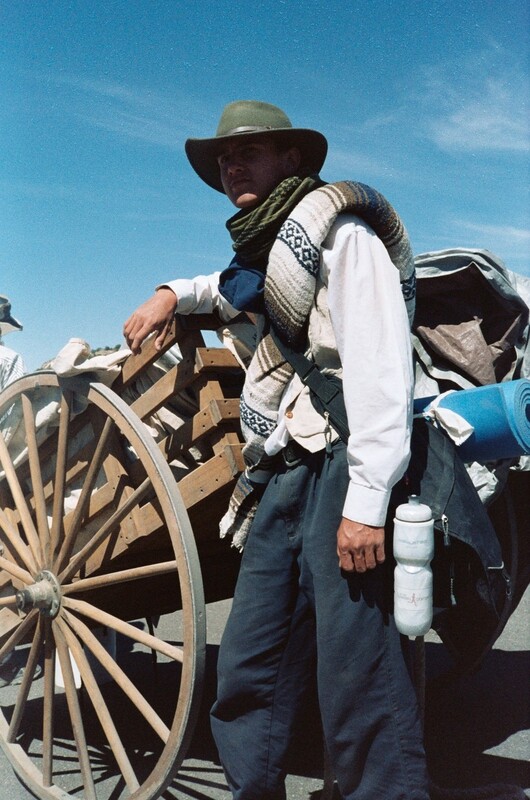 Later James as a teen was the cinematographer for another Ivins Stake handcart trek. Back doing what the ancestors did to gain a small idea of what they went through to get here. Mayflower’s first North American voyage. I’m glad they did it and I don’t have to. I suppose a little air sickness or car sickness which doesn’t last for weeks isn’t so bad after all. Nebraska, Wyoming and Utah to get to St. George. Pioneer Day is soon approaching. Sometimes we all are just idiots. A few weeks ago I was on my way to repair and service 4 swamp coolers at a warehouse. Just as I got into the center turning lane to drive into their lot, my pickup died. It sounded to me like the in tank fuel pump had died. It has happened twice before. The men at the warehouse helped me push the pickup into their parking lot. I worked on the coolers and called a friend to tow me home. For the next two days I got rides there to finish the work. all four coolers. All coolers were working fine. wasn’t getting any spark. But no spark even with a new one. distributor module that was’ the culprit. I’d thought of the distributor cap but not of the module. $100 plus with parts and labor, my pickup was back on the road. The next Monday in the evening, I got a call from the property manager of the warehouse. had plugged all the pumps and some of the water lines at the spider junction. I cleaned them all out and of course they all work. The idiots. Thinking they knew something about the coolers. They wasted time and money because they thought themselves experts when they had no clue. And what of me and the pickup? experience and not having the diagnostic tools that the shop had were idiots too. You know, sometimes it’s best to get the experts and not be idiots thinking we know it all. There is gold in your own back yard. One time, a brother of mine and I were digging a test hole by hand on a piece of ground we owned. I said that I didn’t care because I had bills to pay and paying work waiting for me and that was my gold. I may have been shortsighted in my decision to go to work that paid instead of trying a little more. but that required a lot of work to make pay. My brother sold his part of the land. money from found gold, enough to return to the east by ship, with a few dollars left over. What had his wife done while he was looking for gold? resulting in a positive cash flow. hired labor costs. At the end they would have been much richer. So where are you going to look for gold? This is a preview of the e-book Facts About Abraham Lincoln. I’ve been told I looked like certain people and found out that I was distantly related to them through common ancestors. I’ve been told,most of my adult life, that I look like A. Lincoln and I’ve come to see that that isn’t such a bad thing. Our common ancestor was Obadiah Holmes. I recently did a Google search on him and learned that his most famous descendant is none other than Abraham Lincoln. Over the years many people have said that I have a resemblance to the sixteenth President of the United States and wondered if I had some relationship to him. Well I guess I do though distantly. 1. Obadiah Holmes (1610-1682) married Katherine Hyde. This is a preview of the e-book “Facts about Abraham Lincoln. You may be related to him too.